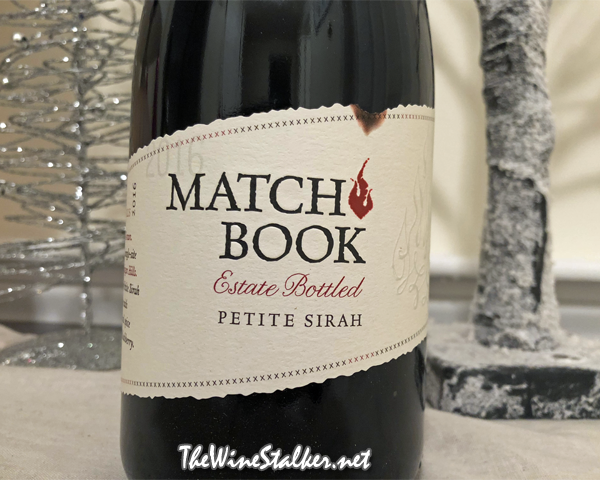 The Estate Bottled Petite Sirah 2016 is their very first Estate Bottled Petite Sirah. It’s 77% Petite Sirah, 17% Syrah, and 6% Tannat. Just twenty minutes after harvest, the grapes were gently crushed and then put in small temperature controlled stainless steel tanks to ferment. They pumped the tanks over twice a day until nearly dry, then pressed and aged the wine in a variety of French, Hungarian and American oak barrels for 16 months. Barrel lots were selected for their robust structure and intense flavor. The color of the wine is a gorgeous ruby red. There’s aromas of plums, vanilla, black pepper, and bay leaf. On the palate it’s medium to full bodied with a rich mouthfeel that becomes a cloud of lushness when swirled around in the mouth. The tannins are both sweet and grippy, and the acidity is present but takes a seat in the back. There’s flavors of blackberries, red apple, black pepper, and vanilla. Then it finishes juicy with the tannins tightening their grip. For $17 this is a freakin’ dream, and a run-away perfect score for a $20 Petite Sirah. The Giguiere’s did a hell of a job with this one. It’s an absolute joy to drink!